Anyone that currently presents or is due to present to small or large groups. 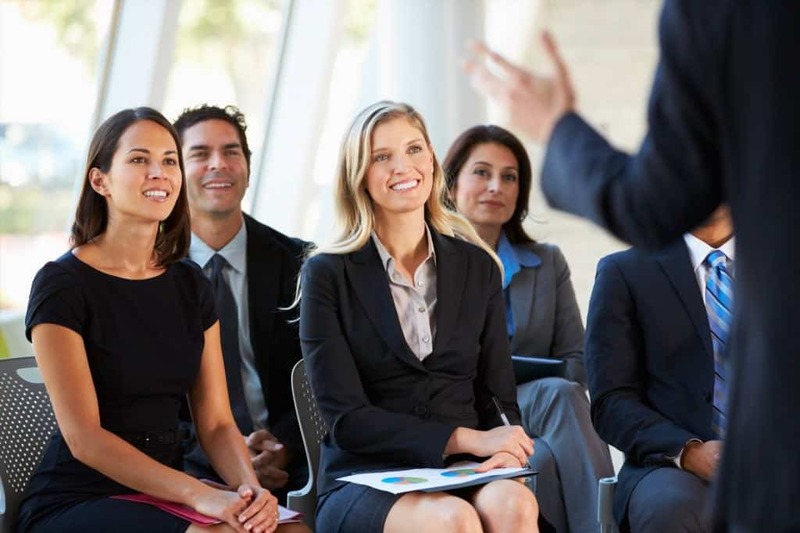 These presentation skills training course materials will help develop the presentation skills of your participants and ensure you deliver a successful presentation skills training course. This session will provide your participants with the ideas and techniques to help them feel more confident about presenting, and will help them to become an effective presenter. 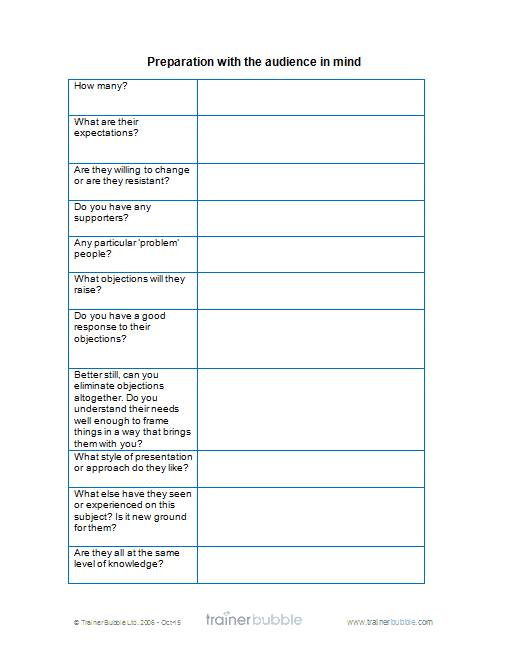 Problems and fears with Presentations – Looking at the past problems delegates have felt and seen with presentations. What their fears are and their likes and dislikes of presenting. 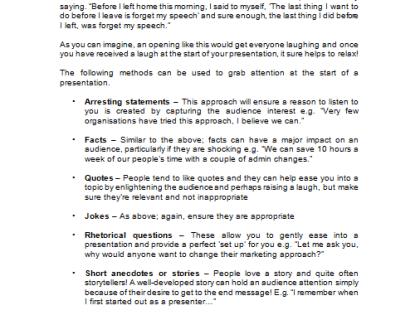 Qualities of an Effective Presenter – Identifying what makes a presenter good and analysing the skills required. 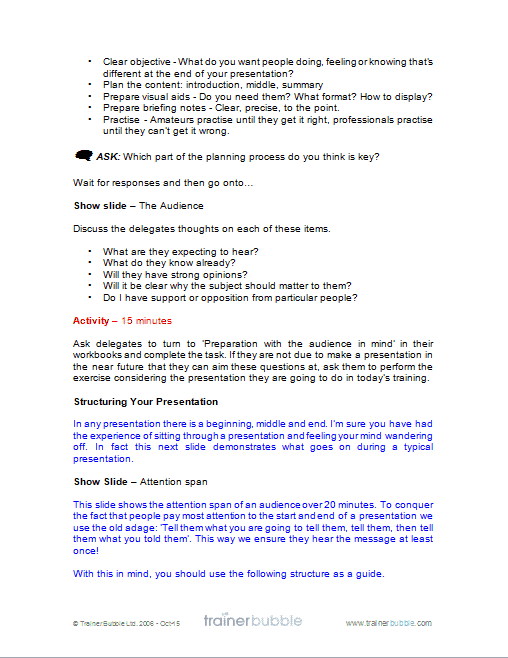 Planning a Presentation – Key considerations when planning a presentation and planning around the audience. 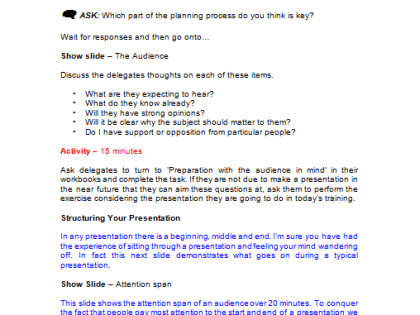 Structuring Your Presentation – Considering the attention span of an audience and structuring the session around this. Using the ‘Communicating to Convince’ model to structure the presentation. Opening Attention Grabbers – How to start a session with a bang. Using Visual Aids – The do’s and don’ts regarding visual aids and making them effective. 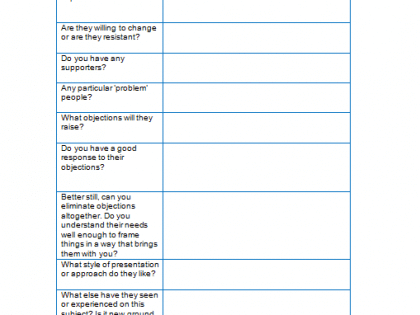 Presentation Models and Tools – Identifying alternatives to PowerPoint. 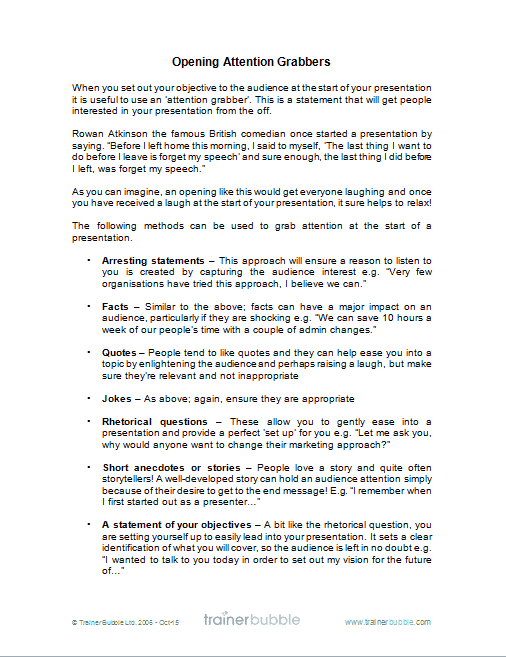 Presentation style – Considering their style, including; mannerisms, gestures, eye contact, voice and nerves. 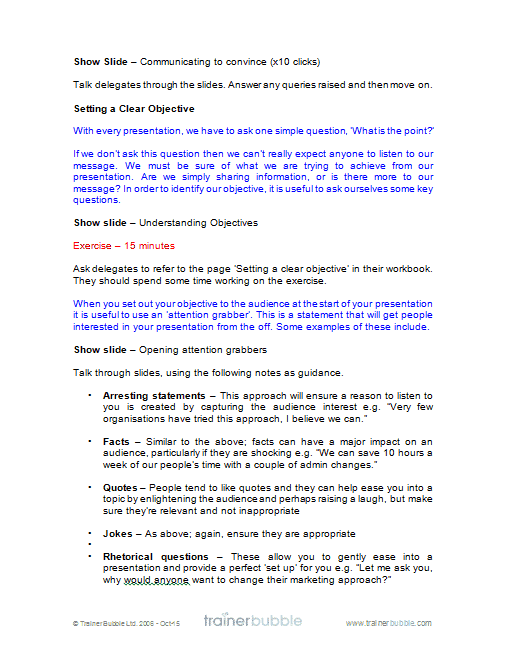 Presentation Practice – A chance to test their presenting skills and provide feedback in a safe environment. This Presentation Skills training course focuses on the ‘nuts and bolts’ of presentations and provides a solid grounding in the processes and practices of effective presenting. 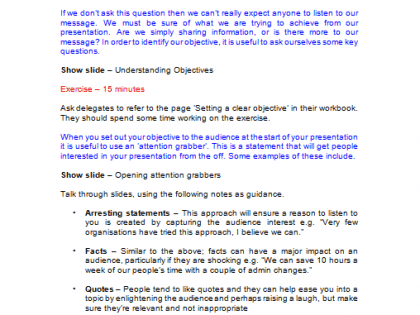 If you are looking for training materials that are more advanced and with more attention paid to delivering persuasive business presentations, you might like to consider our other training materials, ‘Business Presentations’.